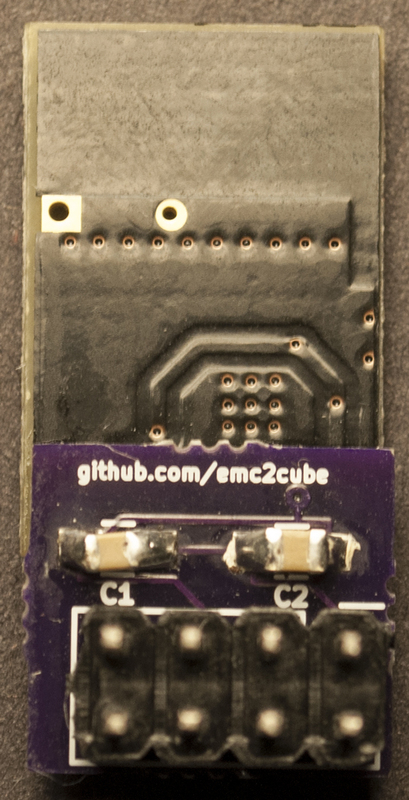 Adapter to use NRF24L01 (regular or PA+LNA) SMD radio module instead of regular modules. Footprints for optional capacitors. 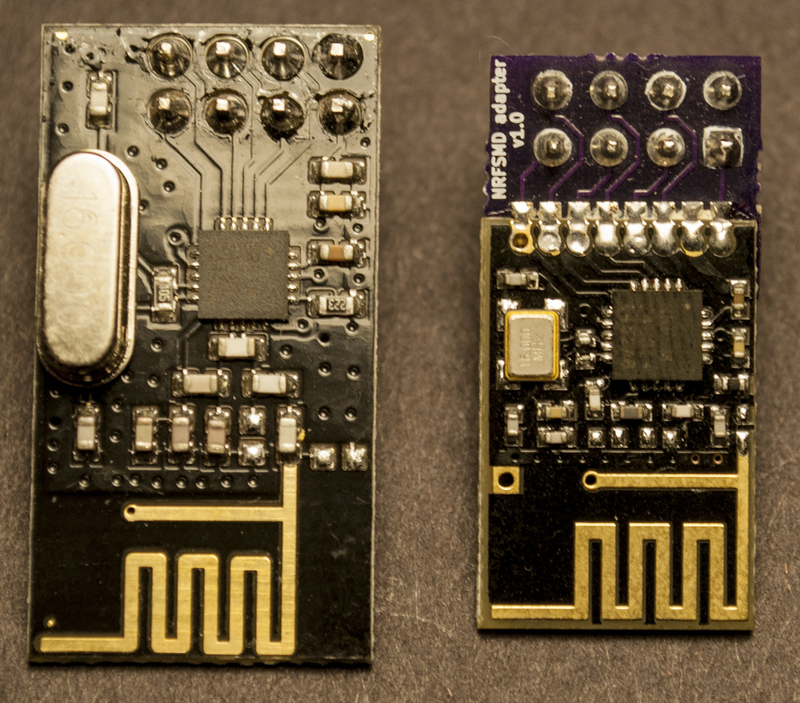 Previous versions, for either regular or PA+LNA modules are still available available. PCBs.io 4 for $0.99, black 1.6mm PCB, ENIG finish. Solder everything together. Capacitors are optional if already present in the original design, else 0.1µF + 4.7 to 47µF capacitors highly recommended.